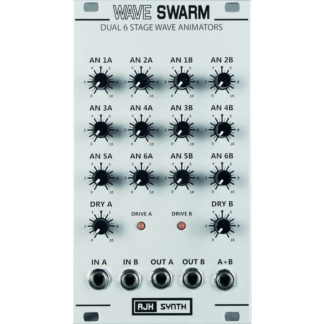 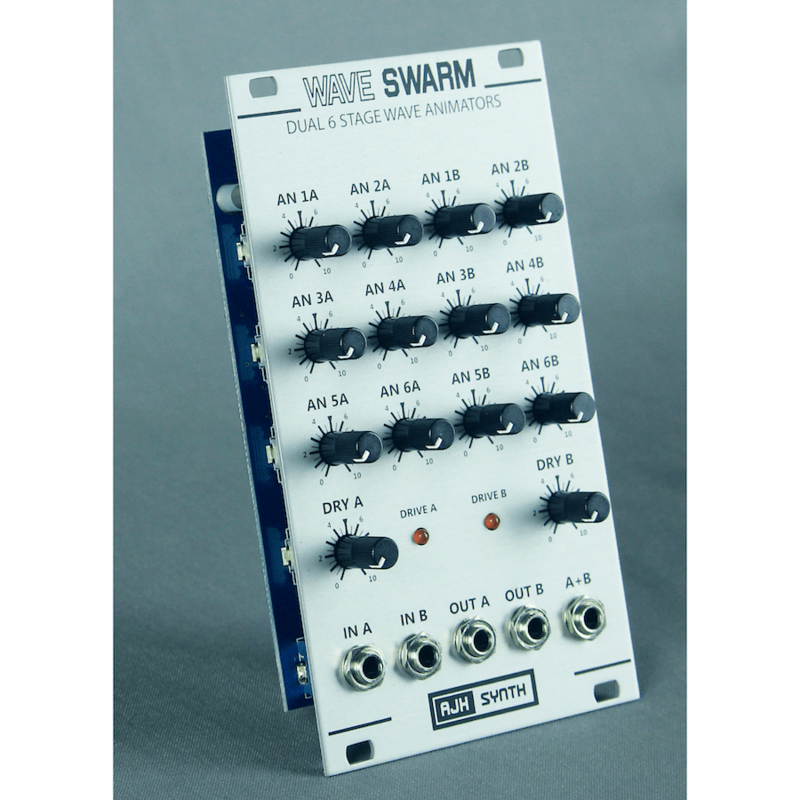 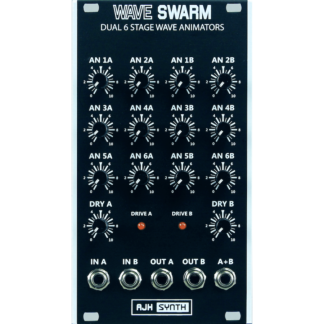 The WaveSwarm from AJH Synth is a waveform animator, and is an all analogue dual channel device. Each channel simulates up to six VCO’s beating in unison with a different beat frequency between each animation. 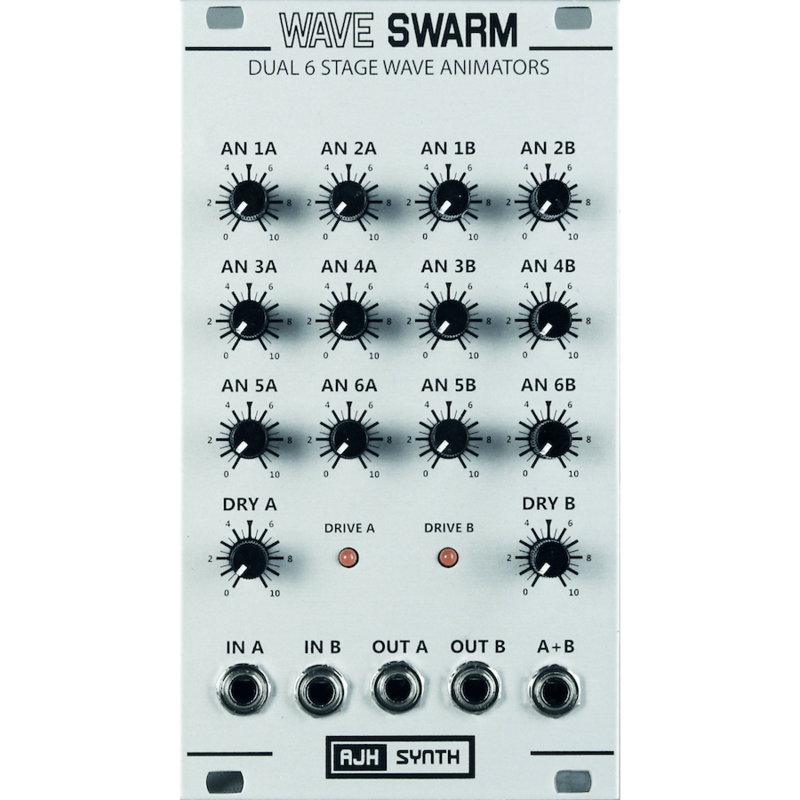 The fixed beat frequencies are generated by twelve onboard LFO’s, and the front panel pots control the level of each of the six animators, along with the level of the dry signal to the final mix. 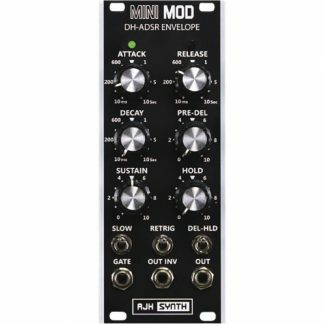 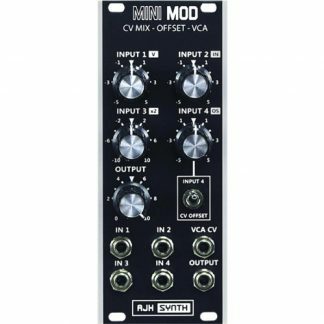 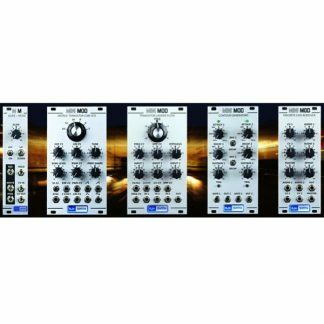 In addition to independent channel inputs and outputs it also has an A+B output, which sums the outputs of the two channels, creating an effect similar to twelve VCO’s in unison! 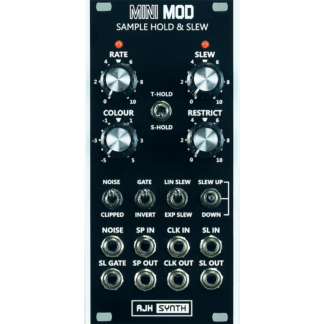 This is possible because channel B uses slightly different beat frequencies to channel A, they are not identical.